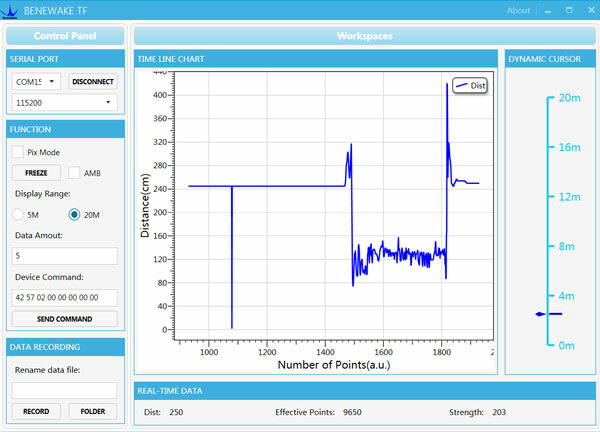 DE-LIDAR TF02 is a newly developed product based on the widespread application experience of TF01. It is a unidirectional laser rangefinder, which based on ToF (Time of Flight) technology. It is comprised of particular optical and electrical devices that makes it stable, high sensitivity and high precision. ToF is the abbreviation for Time of Flight. This is a distance measurement method that measure the time that it takes for an object. 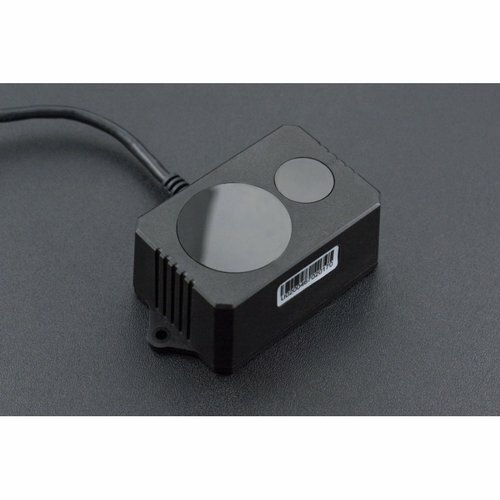 The distance value between object and sensor is easy to get by calculating the time difference or phase difference between emission and reflection, so does the in-depth information. The protection design of the TF 02 is based on the IP 65 level, which prevents it from the dust, water, and corrosion. It is anti-interferential from the strong light outdoors. It can work under 100K lux light without the interference from the temperature, humidity, light, electronics and airflow. 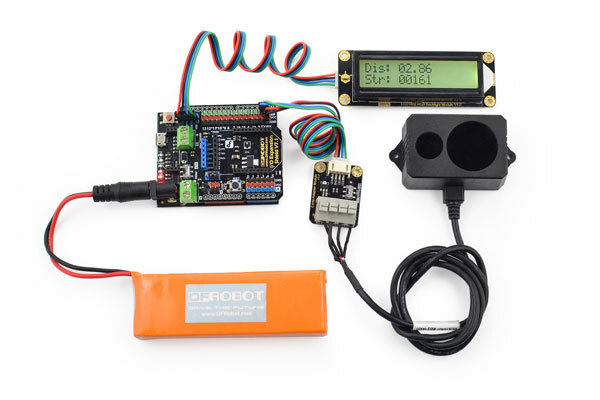 High sensitivity, measuring distance up to 22 meters, accuracy in cm level. Scanning frequency up to 100Hz, real-time detection of distance with a 100 times/second refresh rate for more accurate data. TF02 has a complete system, containing a protective shell made of materials with a high transmittance of infrared, which doesn&apos;t affect the optical performance. TF02’s signal acceptance angle is 3˚, so LiDAR’s detection angle is 3˚. The side lengths of different distance detection ranges (the detection range takes on a square shape) are shown as below in the table. 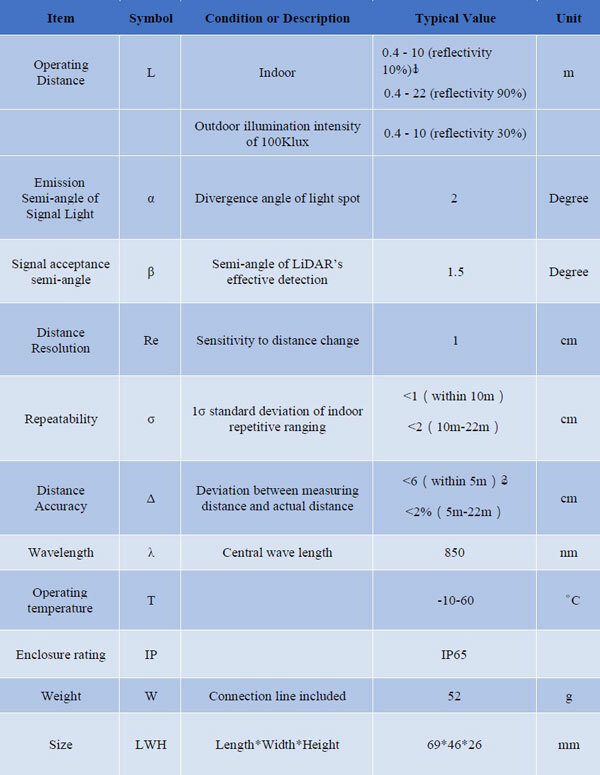 Note: the distance in the table stands for the vertical distance between LiDAR and the detected object, with meter as unit. The side length unit of detection range is cm. Generally, the side length of detected object should be greater than that of detection range. Only in this way the LiDAR output data can be reliable. When the side length of detected object is less than that of detection range, the LiDAR output data is not stable and the error increases. Note: the side length of detecting range is not equal to the object resolution at the corresponding distance.